Do you remember where you were? Do you remember how you felt? Do you remember how it impacted you, your family, your community, the country, the world? Do you remember the aftermath? Good. Don’t ever forget. Honor them with gratitude, love, hope. 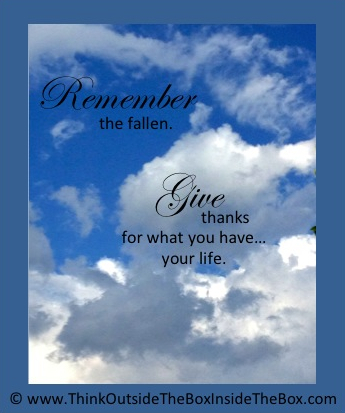 Give thanks for what you have–your life. Create a better tomorrow from it.